Engle Homes in Las Vegas is offering a builder incentive for the rest of September. A special mortgage program with a 30 year fixed rate loan of 5.875 percent with offered through their preferred lender. This offer is for select Engle Homes neighborhoods throughout the Las Vegas valley. Builder incentives include zero closing costs and up to $100,000 in incentives for a purchase of a home. 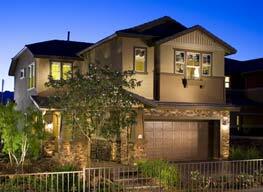 Many of these homes are located in quick growing neighborhoods and master planned communities. Now is a great time to receive incredible incentives and low interest rates for a new home purchase. Engle Homes at Ladera Terrace in The Mesa Village of Summerlin Las Vegas offers a builder’s incentive. Ladera Terrace is the builder’s first Summerlin real estate. This is a perfect time for Las Vegas home buyers to take advantage of the generous incentives and competitive new home pricing for an address in a very popular master plan in Southern Nevada’s Red Rock real estate. Prices for the new homes start in the upper $300,000s for two story homes with three floor plans from 2,031 to 2,574 square feet.